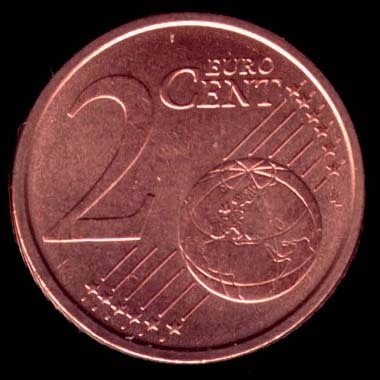 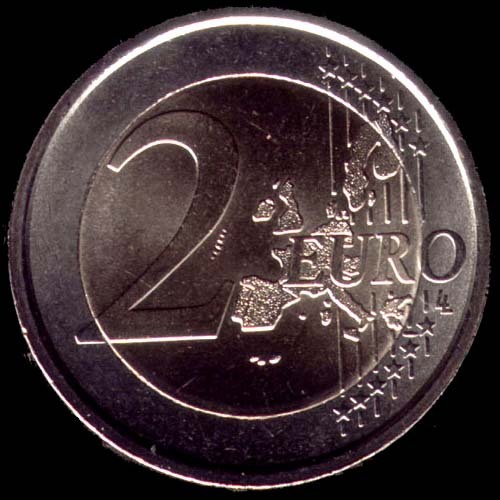 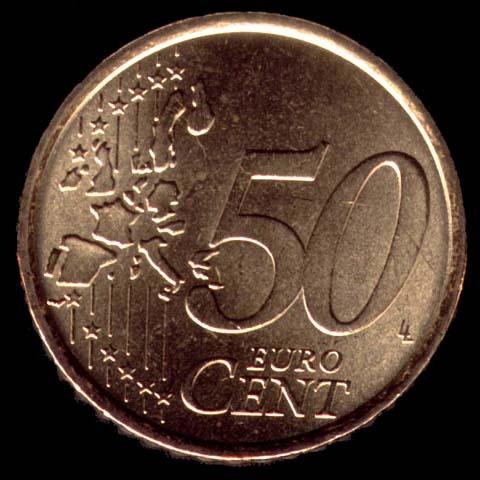 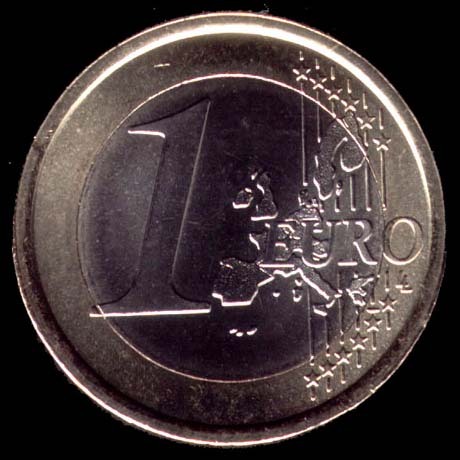 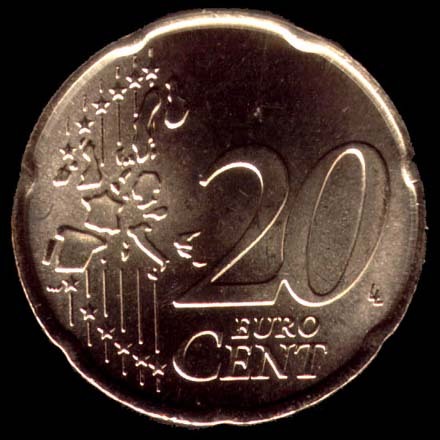 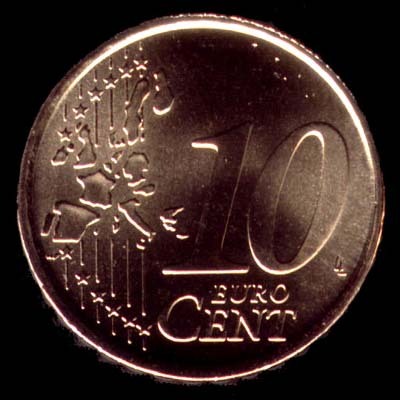 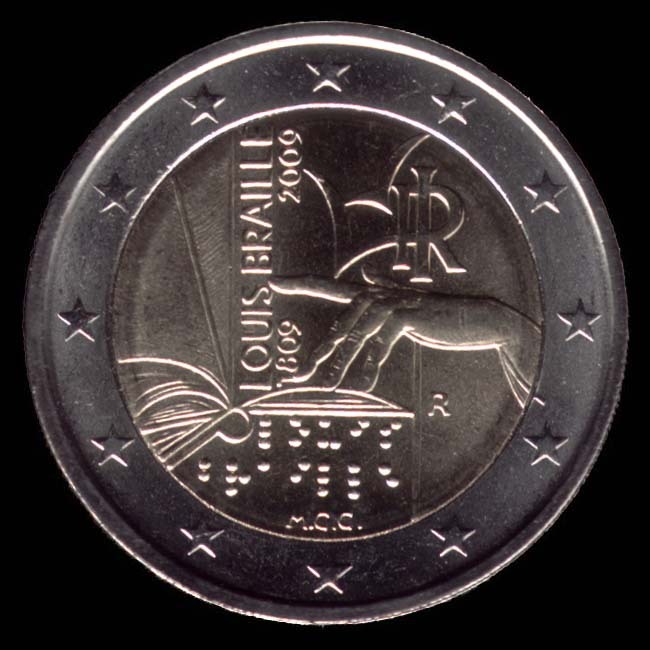 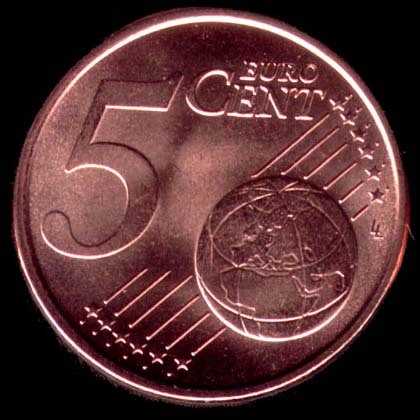 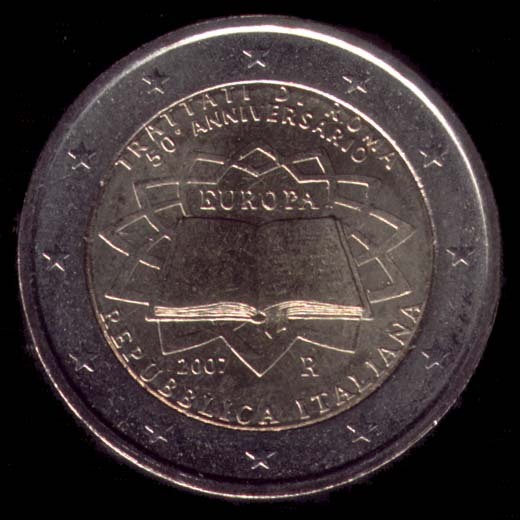 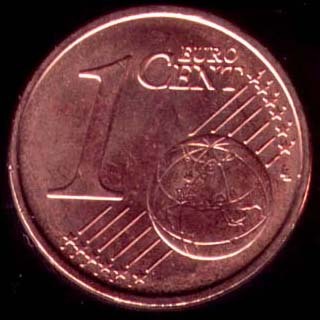 The euro coins are eight, with values ​​of 1, 2, 5, 10, 20, 50 cents and 1 and 2 euro. 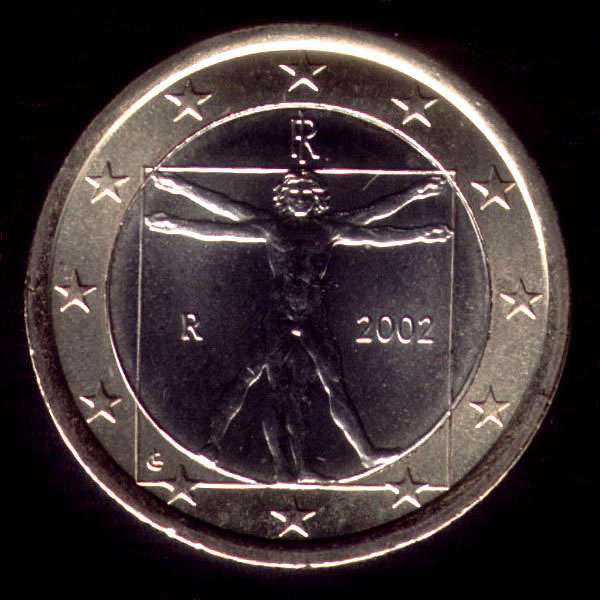 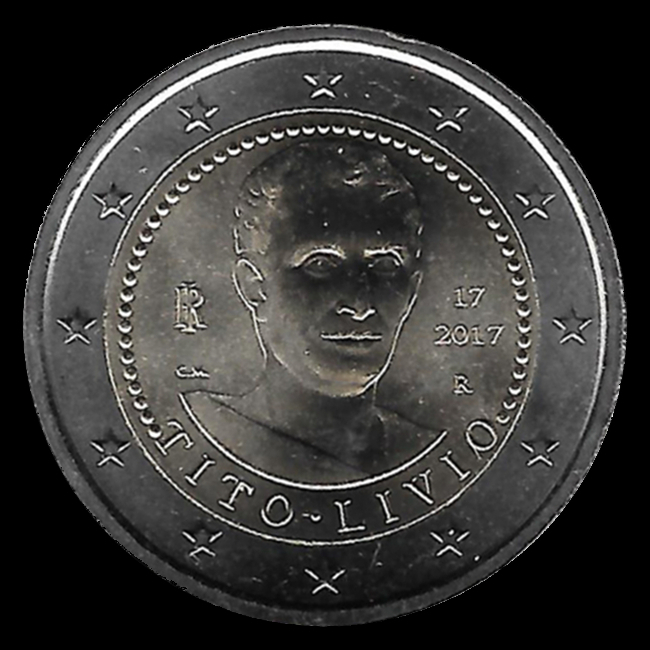 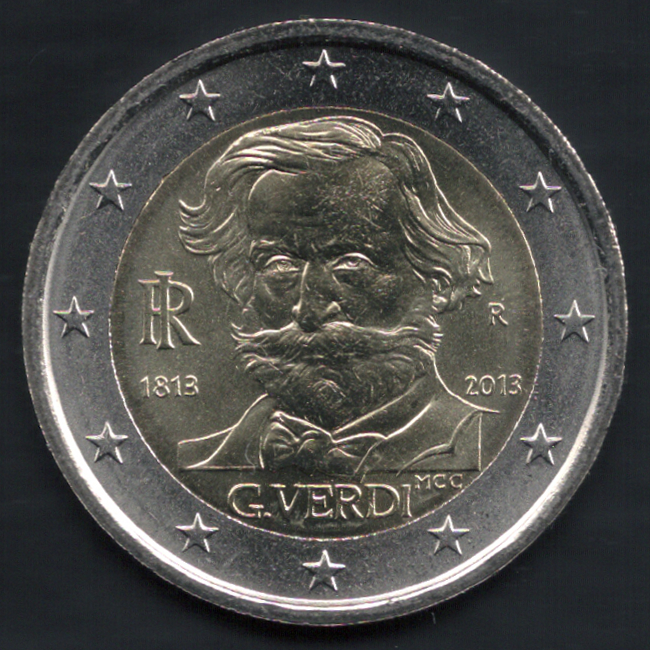 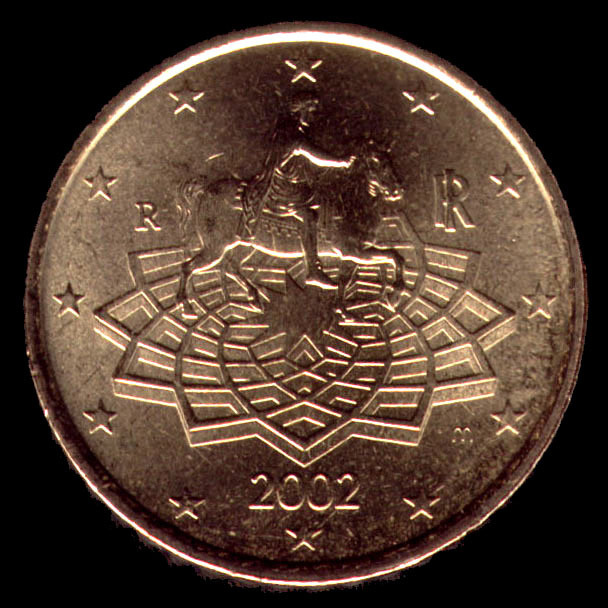 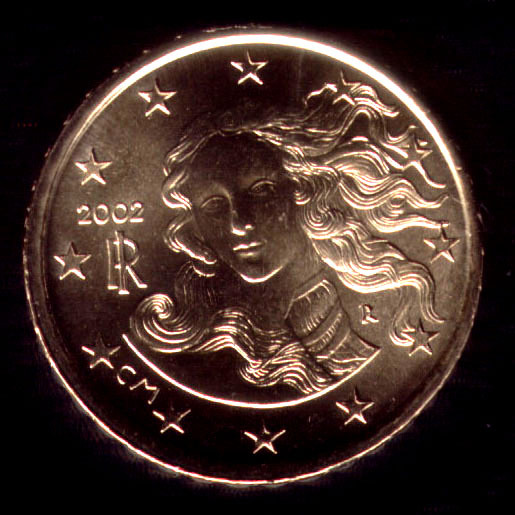 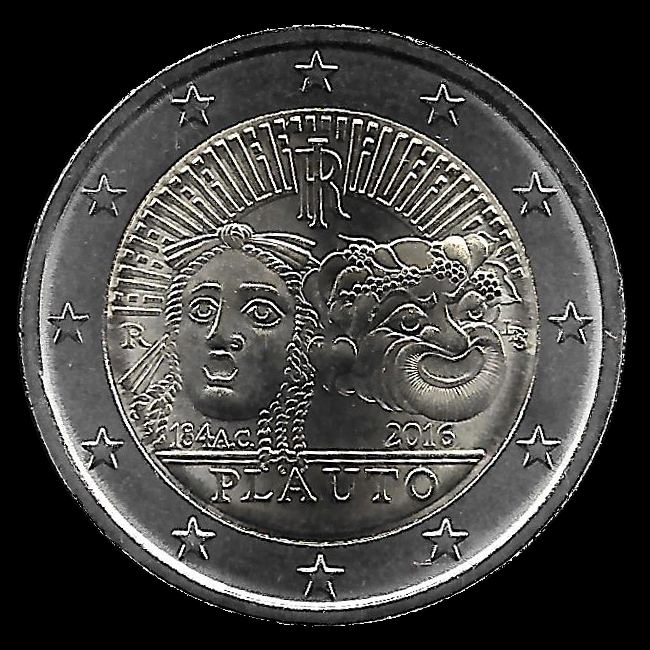 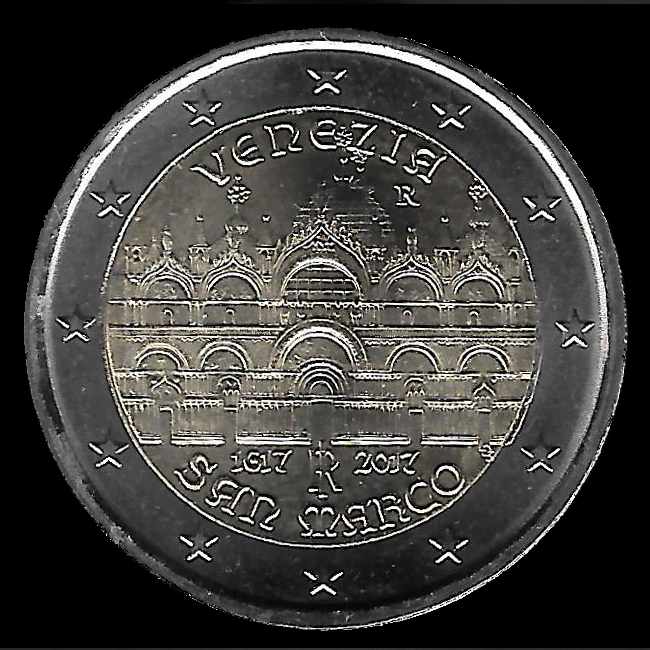 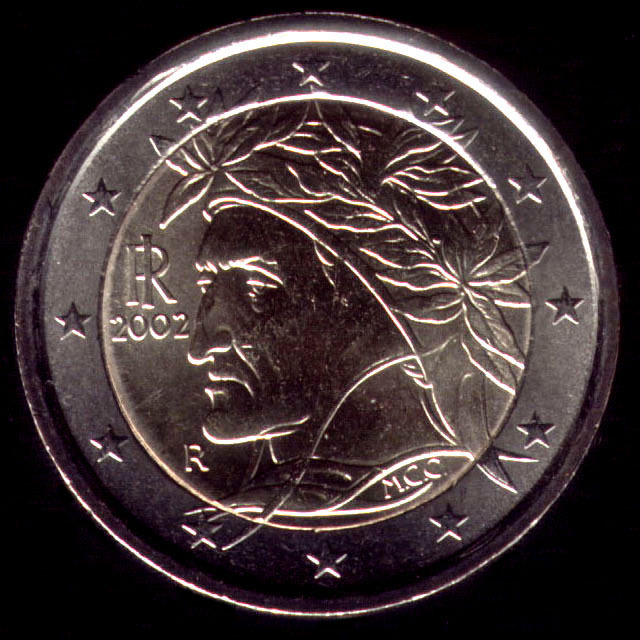 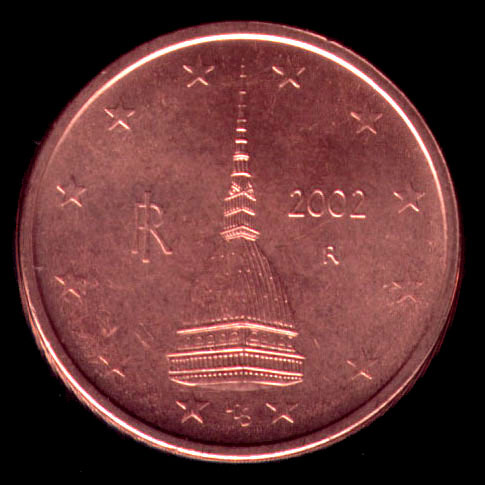 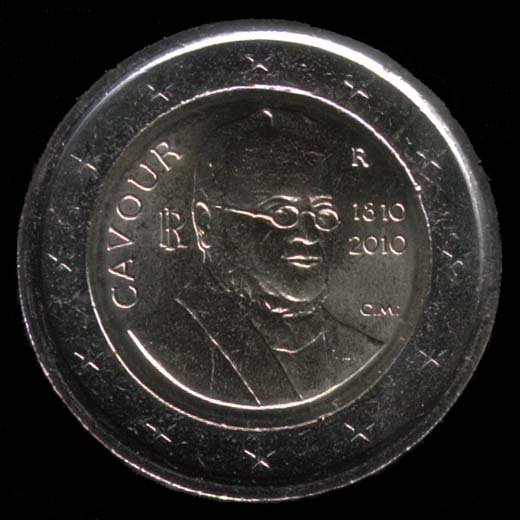 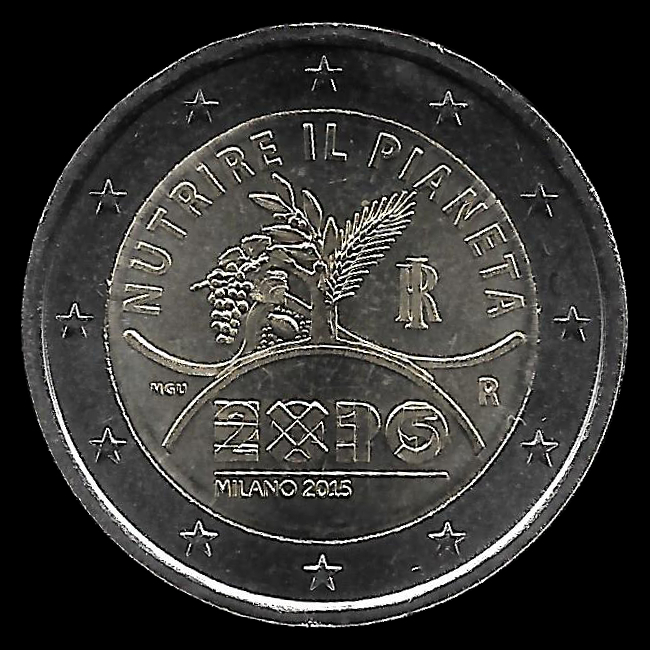 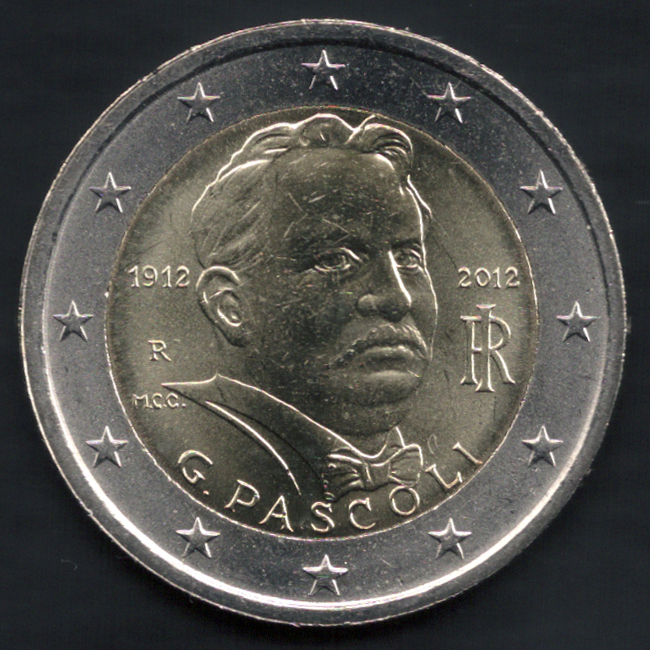 They are characterized by a common face designed by Luc Luycx of the Royal Mint of Belgium, winner of the European competition for the design of the coins. 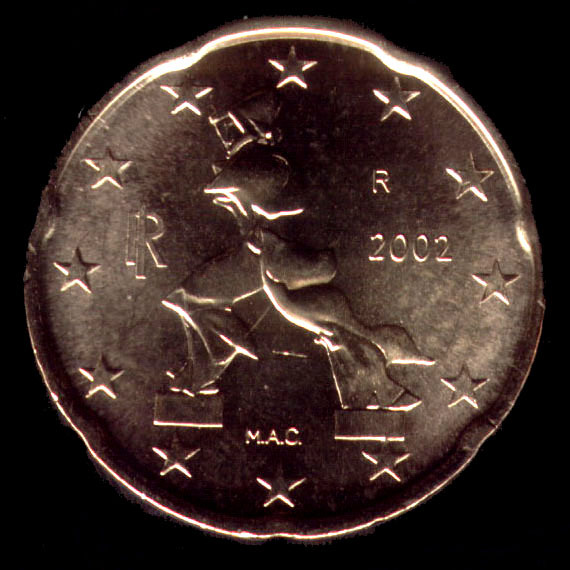 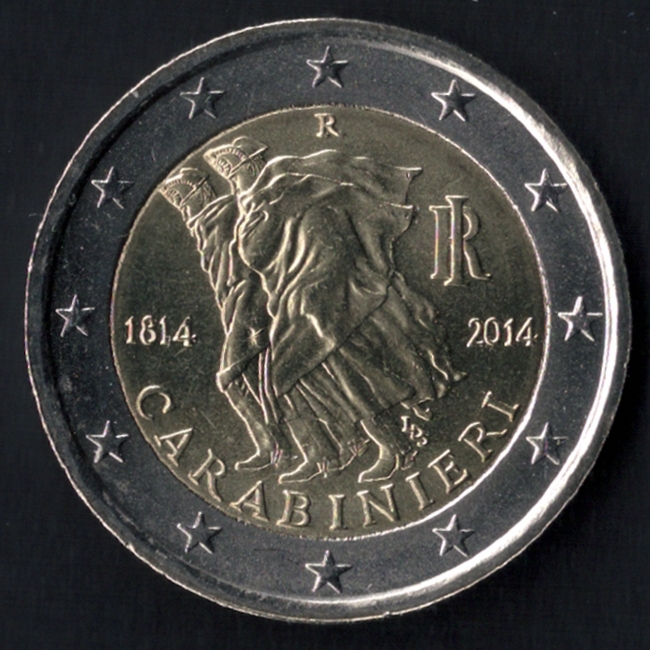 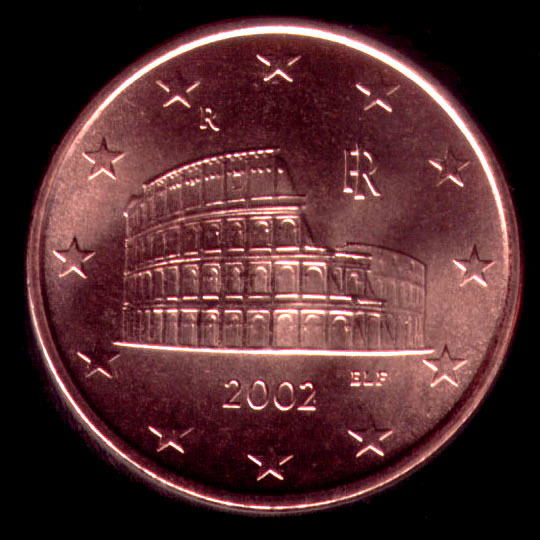 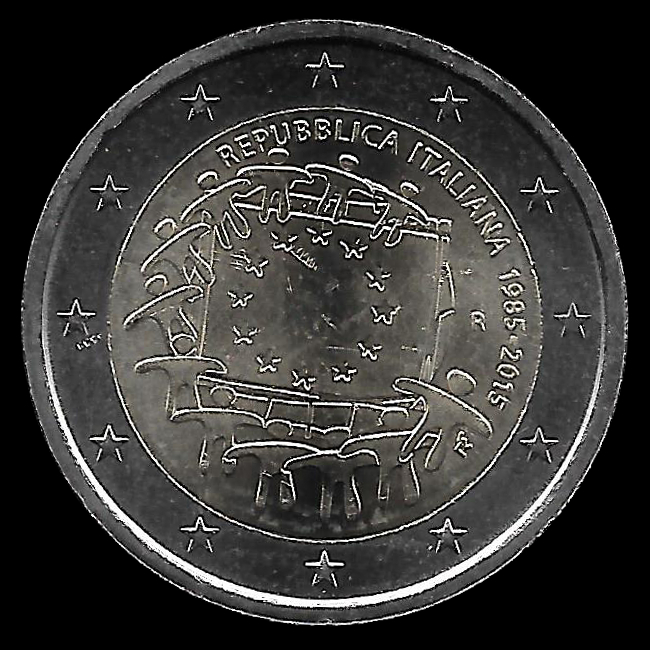 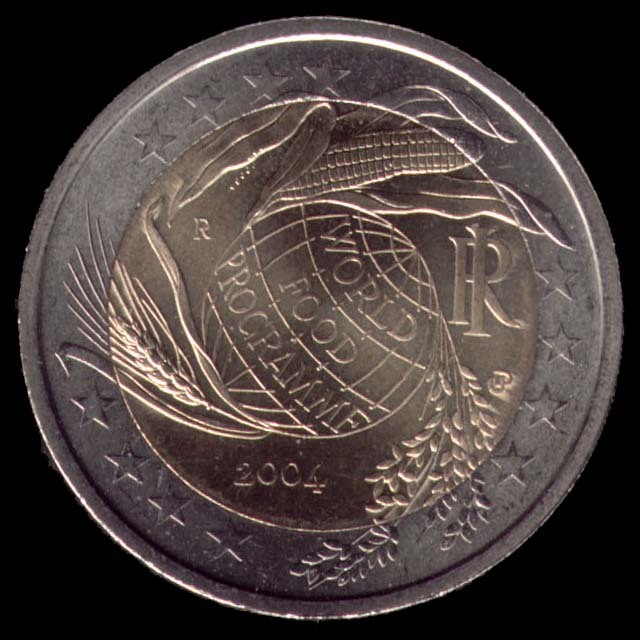 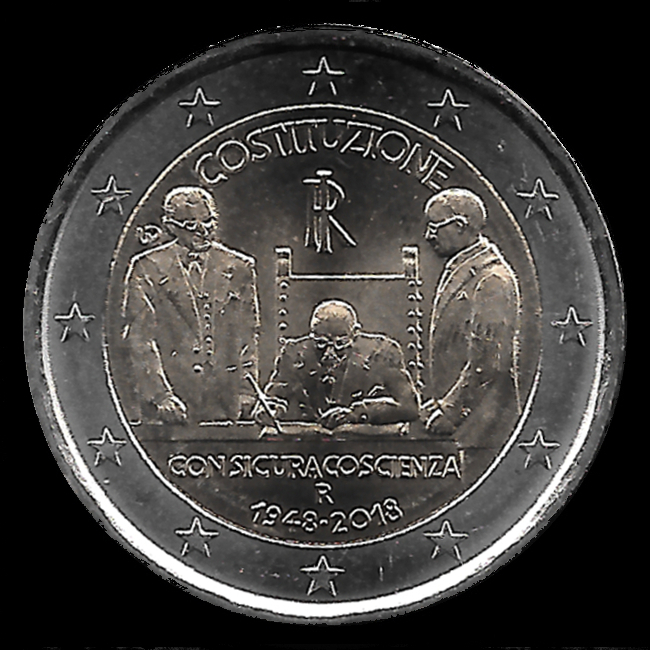 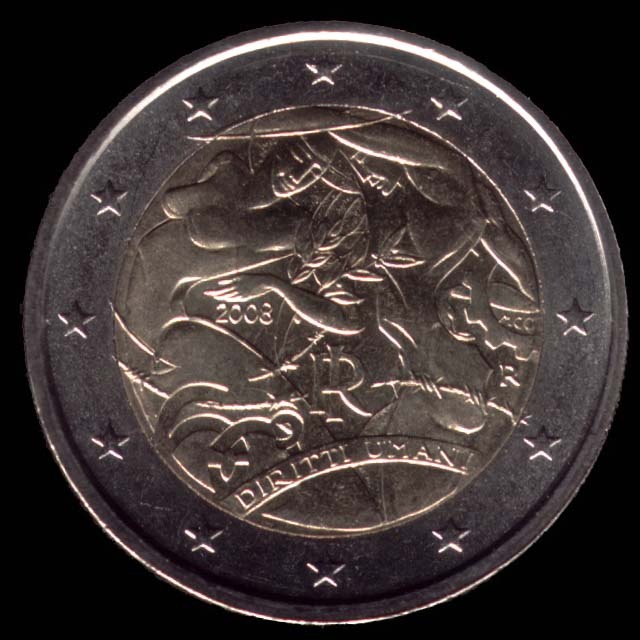 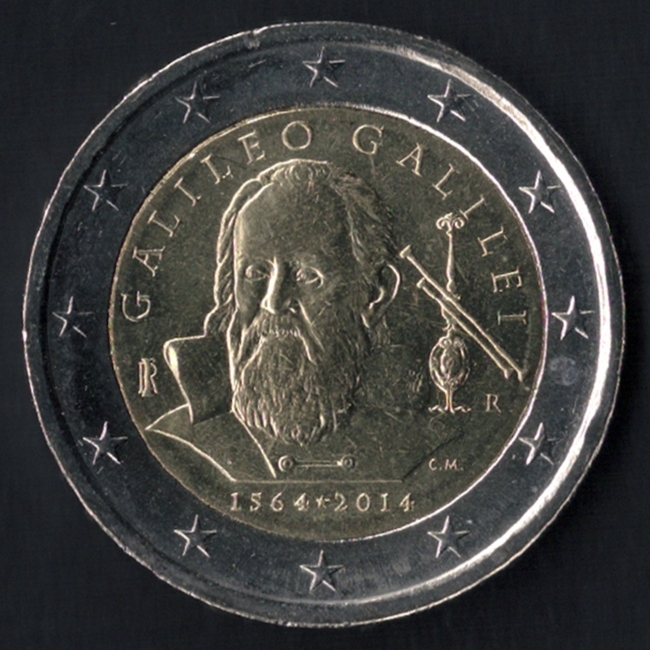 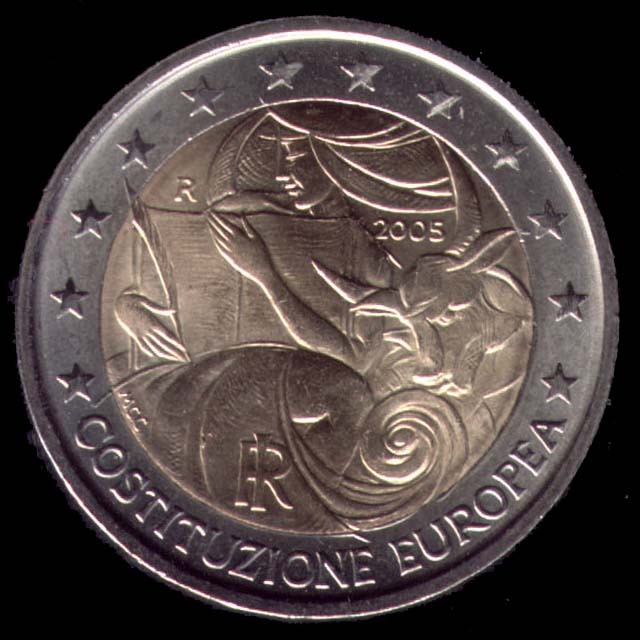 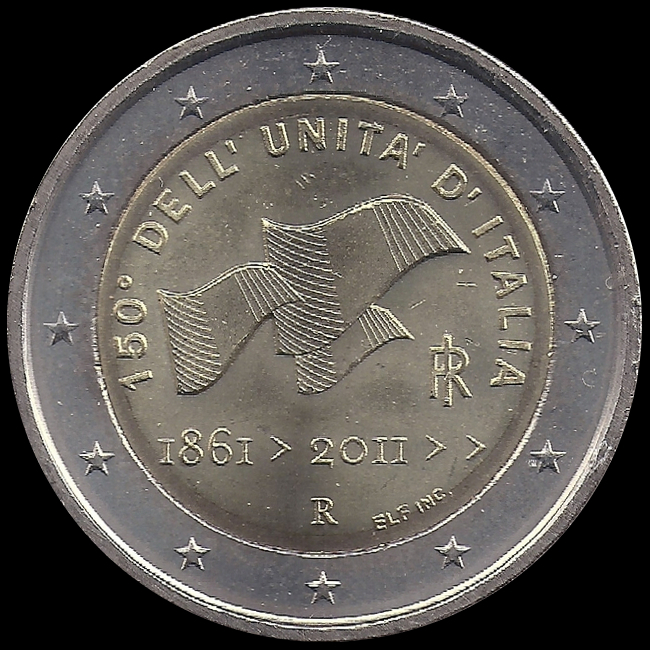 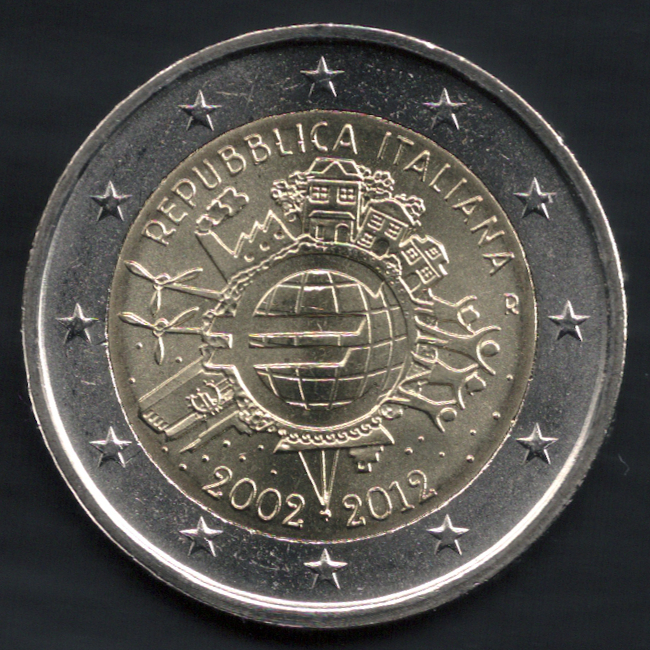 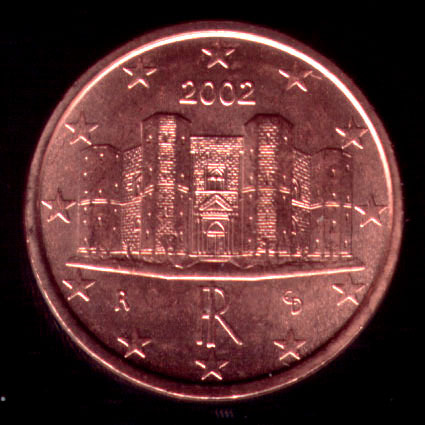 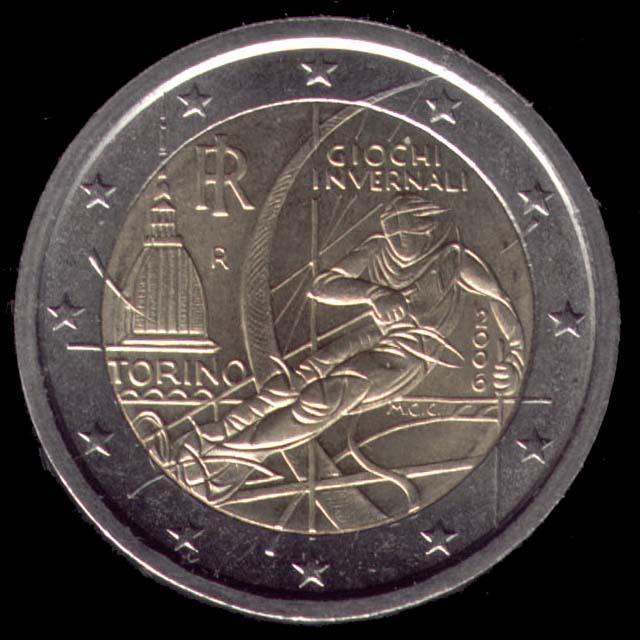 The images of the common side represent three different maps of Europe, surrounded by 12 stars of the EU with a number indicating the value of coin. 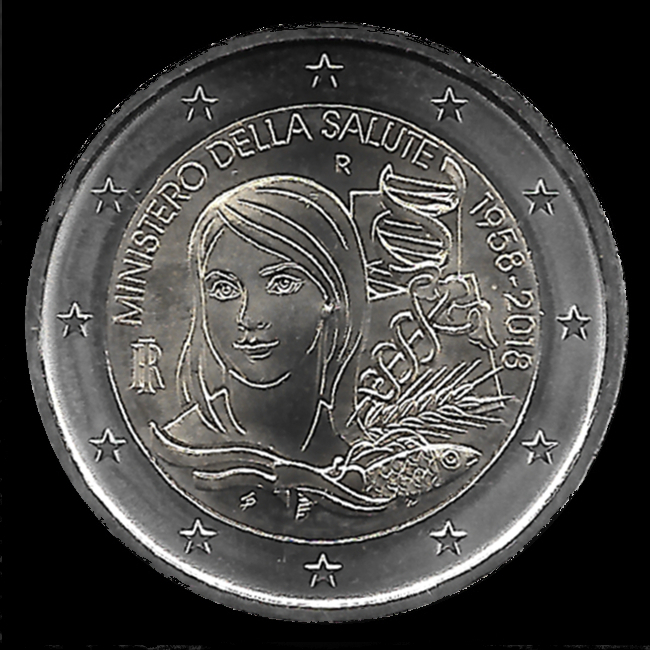 The other side is the national one, and shows different images for each country, surrounded by the 12 EU stars and containing the initials of the nation (e.g. 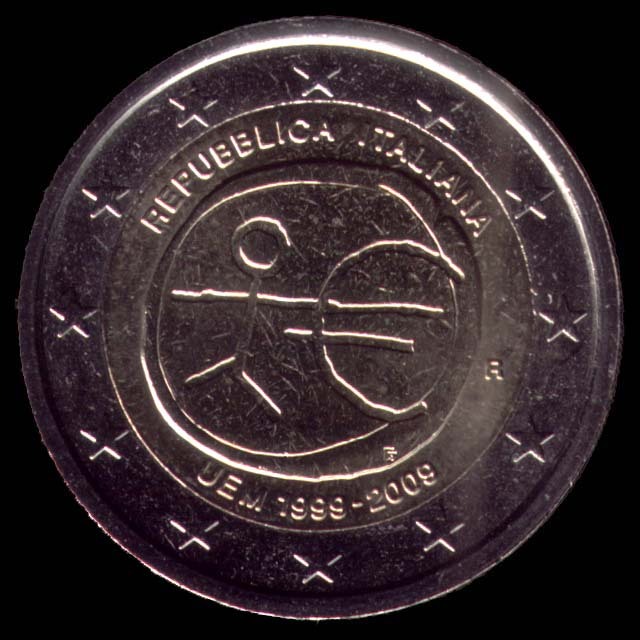 : RI for the Italian Republic). 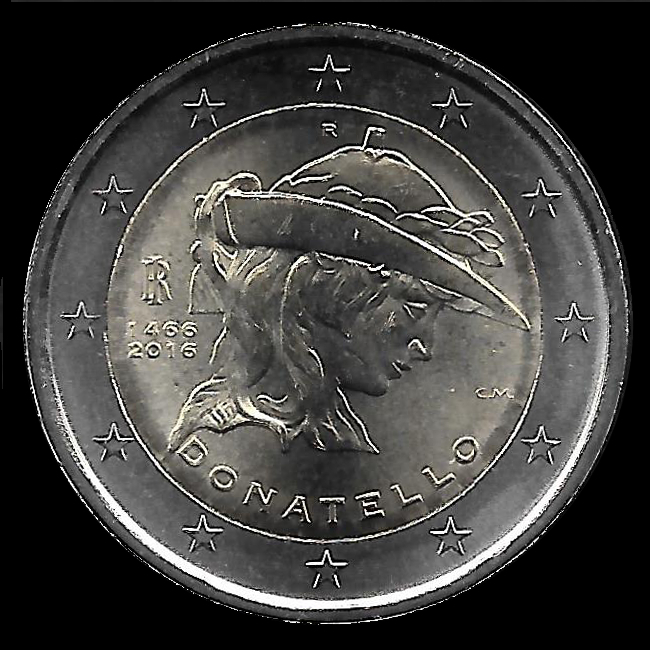 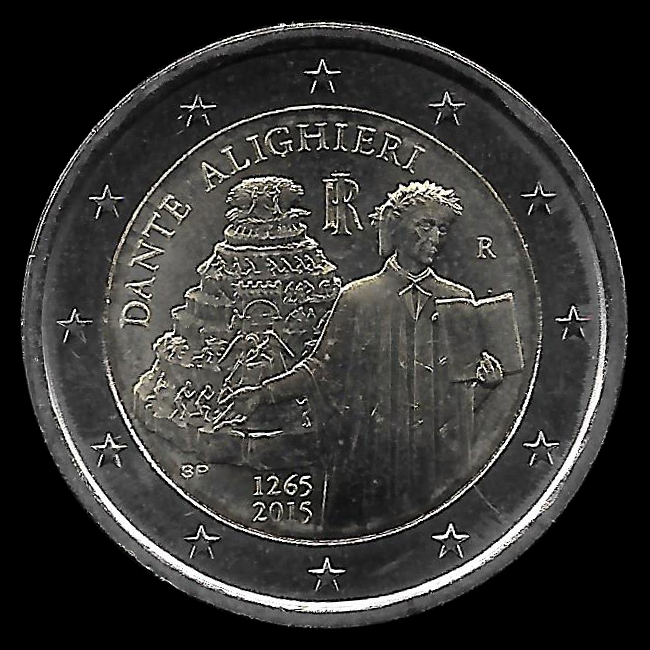 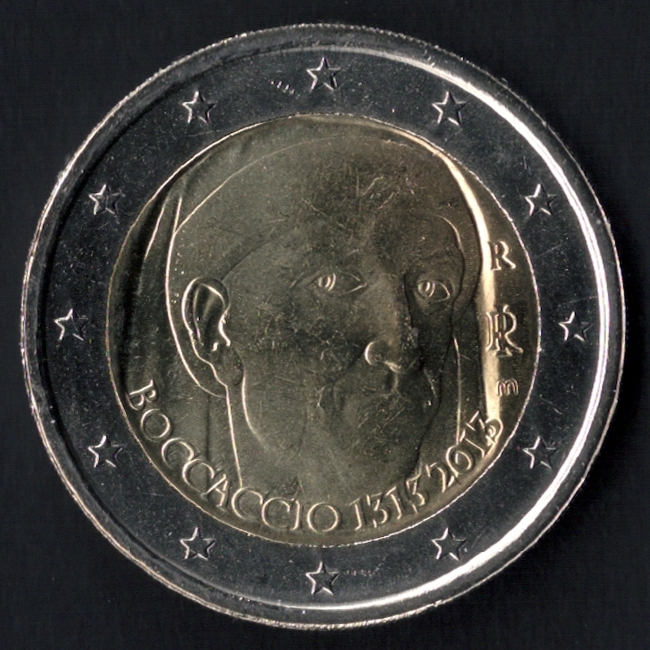 2 euro: a portrait of Dante Alighieri taken from the fresco The Dispute of the Sacrament of Raphael Sanzio.